Apache Kafka has been in production at thousands of companies for years because it interconnects many systems and events for real-time, mission critical services. Apache Kafka operators need to provide guarantees to the business that Kafka is working properly and they need to identify and triage problems in order to solve them before it affects end users. 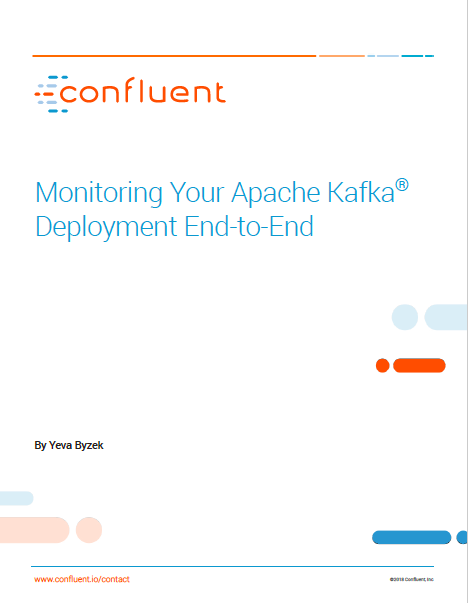 As a result, monitoring your Kafka deployments is an operational must-have. How do you ensure the applications are developed well? How do you prove that they are successfully streaming messages through Kafka at low latency? Can you identify performance bottlenecks and tune your cluster as you scale it up or as the data profile changes?